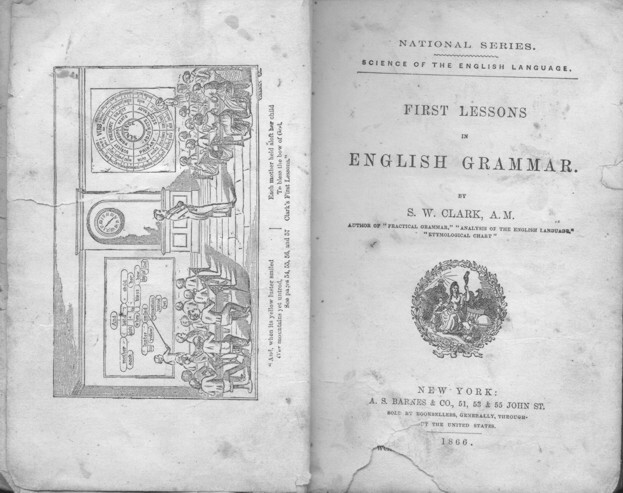 This 2001 scan was taken from an 1866 copy of "First Lessons in English Grammar" by S.W. Clark. This book is in the possession of a descendant of Allen Korns, who would have obtained the book from the Allen Korns family residence in Southampton Township, Somerset County, PA.